40 mSec pulses of up to 105 amperes peak into a 1-ohm load. 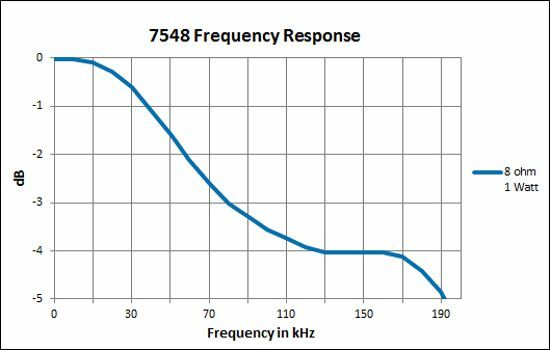 The 7548 amplifier is a DC-enabled, high-powered unit designed to provide very low noise and fast slew rates. 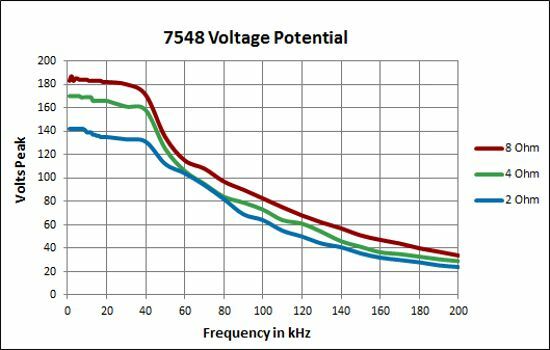 A single 7548 has an output capability of 100 amperes peak and 200 volts peak when driving typical MRI gradient coil loads. 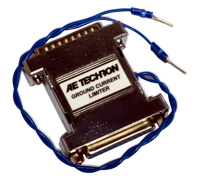 It can output a 40 mSec pulse with up to 105 amperes peak current into a 1- ohm load. 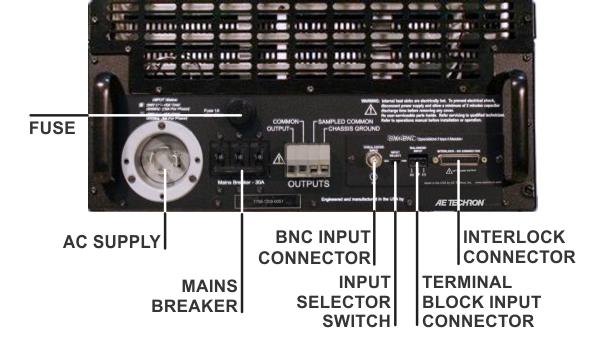 If more current is needed, up to four amplifiers can be combined in series or parallel and operate as a single system. 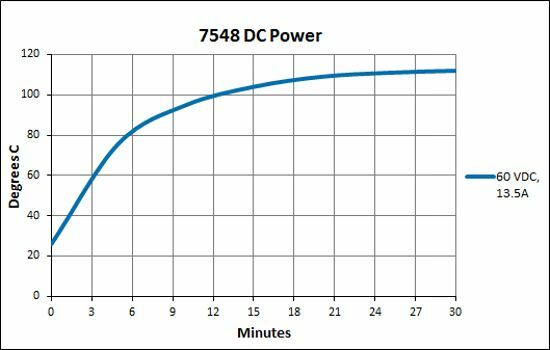 The 7548 can operate in either voltage or current mode and features robust output devices and a power range of over 3300 watts RMS. It can safely drive a wide range of resistive, inductive loads. 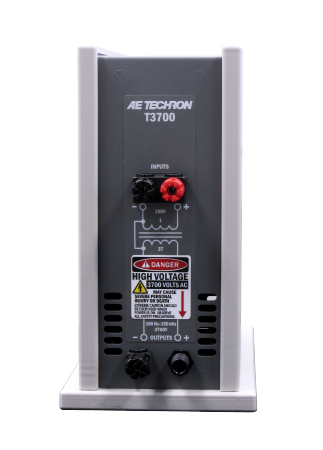 Typical use includes as a power source for EMC testing in applications that require both continuous AC or DC signals and significant short term (burst) signals. 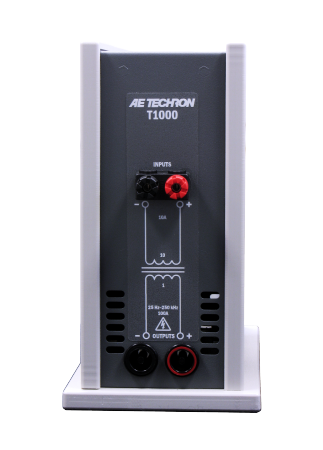 It can be combined in a three-phase system ideal for MIL-STD- 704F (AC and 28 VDC tests). 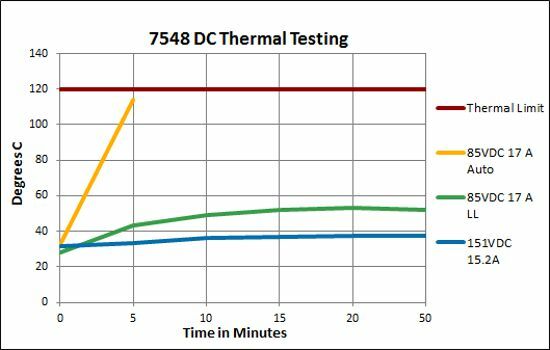 Note: Testing performed at 208V/415V AC. 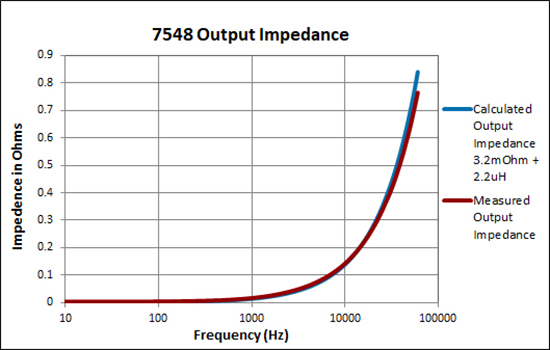 7548amplifiers can operate from 400V AC ±10%. 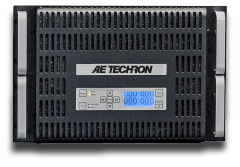 Since these amplifiers have an unregulated power supply, low line conditions may slightly affect the maximum voltage potential. 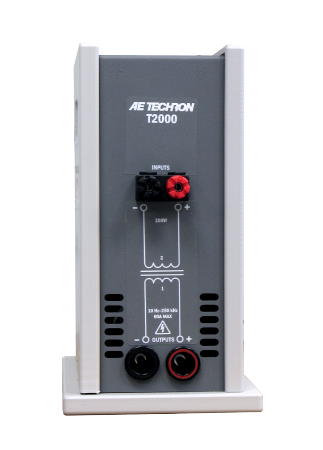 All testing was performed in Controlled-Voltage (CV) mode. Accuracy was measured when driven into a 10 ohm load with between 0.1VDC and 6VDC or between 0.2V AC and 5V AC presented at its inputs. 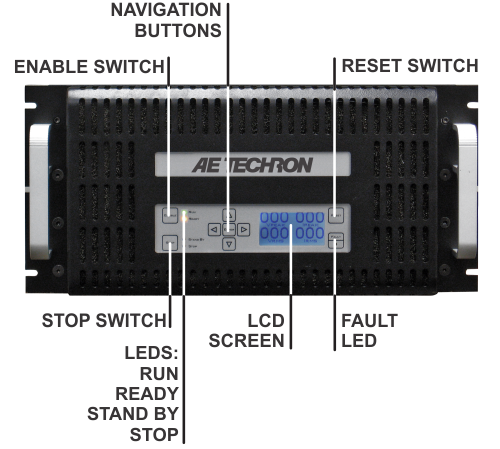 The Amplifier is designed for stand- alone or rack-mounted operation. The Chassis is aluminum with a black powder-coat finish. The unit occupies five EIA 19-inch-wide units. Cooling: Forced air cooling from front to back through removable filters via four 100ft3/min. fans. 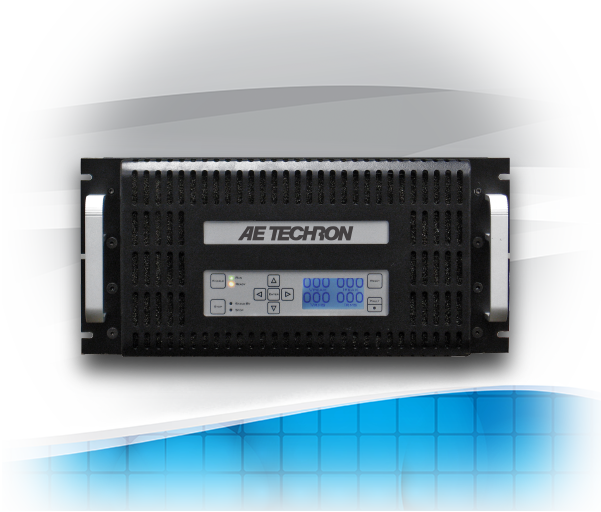 No space is required between rack-mounted amplifiers. Air filters are removeable from the rear via one fastener per side and may be eliminated if cabinet filtration is provided.